Established in 1899 and accredited by the Higher Learning Commission, Northern Arizona University is a state funded college offering undergrad, graduate, and expert degrees of high calibre and societal quality. 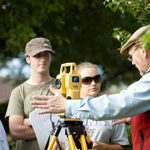 Northern Arizona University conveys a thorough, learner-focused education. 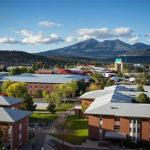 The University’s main campus (Flagstaff Campus) is situated in the heart of a lively mountain town, encompassed by towering ponderosa pines and appreciates a four-season atmosphere. In addition, the University has 25 satellite campuses across the state. The School of Hotel and Restaurant Management was ranked 12th on a list of "The 20 Best Hospitality Programs in the United States," compiled by TheBestSchools.org. The university's engineering program earned a top ranking in U.S. News and World Report’s 2013 Best Colleges. The engineering program ranked 44th out of all engineering schools whose highest degree offered is a bachelor’s or master’s. Northern Arizona University gives understudies scholarly meticulousness, accessible faculty and an extensive variety of undergrad majors and graduate projects. The most well-known majors are Biology, Biomedical Science, Criminology & Criminal Justice, Engineering and Nursing. Furthermore, the college’s Forestry School is one of the main 10 in the country and is licensed by the Society of American Foresters. Northern Arizona University's School of Hotel & Restaurant Management has 2 degrees, Hotel and Restaurant Management and International Hospitality Management that prepare you to enter these exciting, fast-paced careers by giving you access to high-level faculty, innovative curriculum, and opportunities for growth. Partners include Hyatt Hotels and Resorts, Hilton Hotels Corporation and Walt Disney. Northern Arizona University's Engineering programs was listed within the Top 50 in ‘U.S. News Best Colleges, 2017 Edition’ rankings. Some of the programs offered by the College include Bachelor of Science in Engineering (BSE): Civil Engineering and Bachelor of Science in Engineering (BSE): Environmental Engineering.